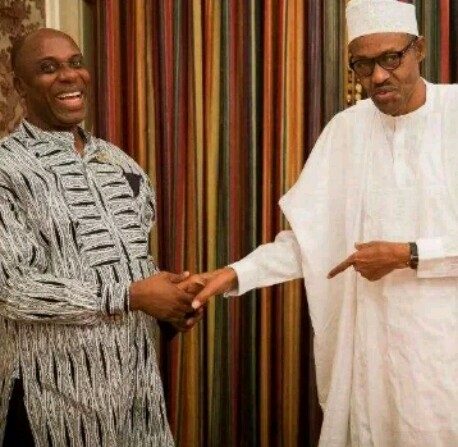 The Minister of Transportation and Director general of the Buhari campaign organization, Rotimi Amaechi has said Nigerians will enjoy 24 hours power supply if President Buhari is re-elected in 2019. Amaechi disclosed this during an interactive session with the media in Abuja on Tuesday, September 11th. “There is also an improvement in power. We have from 3000megawatt to 7000 but we are distributing 5000 because some of the Infrastructures are not in good state but we are slowly fixing them. “Nigerians have taught me a lesson I learnt in politics and that is why nothing bothers me again. The people praising you today, if you see them when you are out of power, you will be shocked. Those singing hallelujah and hosanna will still be the same people to shout crucify him tomorrow. “We have done much more than transport. In terms of Corruption; this economy was a rent economy. Public money was spent anyhow and it was an economy that was not worked hard for. That is why you see politicians today very rich and one year after government, they are poor. They are like that because they don’t know how to manage the money. “When Buhari came, he said no and that we cannot continue to spend anyhow. Buhari has not said people should not steal, he has rather kept quiet to see who can steal because there is a consequence for stealing. “I don’t want to say it has stopped completely but it has reduced. Before, there were so many empty houses in Abuja. People were building and speculating that new politicians will come in and buy but we came in and could not buy because of the economy. So if you say Buhari has not done anything on corruption, you are being most unfair. “It is also unfair if Nigerians think the ministry of works is not working. The road to Bonny was abandoned after Obasanjo left government. “The road was below N39bn but it is now N120bn. When I was Governor, I wrote to federal government under Jonathan that I wanted to do the road for N39bn but they didn’t reply me. “My final year as governor, energy wrote that they will take care of 50 percent of the bill and I wrote again to the Federal Government but they didn’t reply because I was in APC. Now that the Federal government wants to do it, the cost is now N120bn. “So, Buhari government is dealing with corruption, building roads. The worst roads in Nigeria used to be between Uyo and Calabar but it has been awarded. u fools will soon die a miserable death.